Dr. Jeff Smith is a native minnesotan. He received his Doctor of Optometry degree from the Illinois College of Optometry in June 1971. 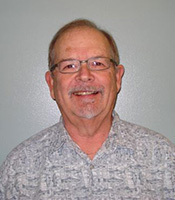 He has been with Andover Optical since 1988. Dr. Smith enjoys working in a private practice setting where he can focus on patient education and quality eye care. His family includes his wife , two children, and two wonderful grandchildren. Dr. Smith is very artistic and enjoys his artwork and fishing at his cabin in northern Minnesota. 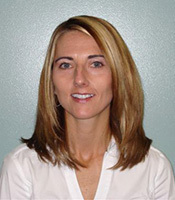 Dr. Stoltman studied Biology at The University of Kentucky and received her Doctorate of Optometry from The Ohio State University in June 2001. She enjoys fitting contact lenses, treating ocular disease, as well as pediatric care. Away from the office, Dr. Stoltman enjoys spending time with her husband and 2 sons. She spends her free time reading, playing sports, and watching Ohio State football.